Haleson technical team will help you select the right heat exchangers for your process. 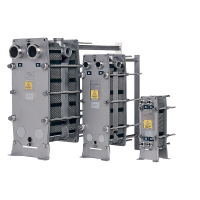 Alfa Laval® plate heat exchangers (PHE) represent the finest in sanitary equipment, are fully CIPable, offer long and reliable operating times. Designed for food, beer, wine, beverage, dairy, steam, clean water, WFI water, CIP fluid, UHT sterilization, pasteurization, chemicals, pharmaceutical, cosmetics, aseptic and other hygienic applications. Several plate types, multiple plate sizes (up to 10 ft2 each plate), materials (AISI 316, Titanium, Hastelloy) and 3A compliant finishes are available. FDA compliant gasket materials (Nitrile and EPDM) are available. Another great feature is the unique glue-less clip-on gasket system that allows easy replacement of the gaskets and easy to clean–up. The modular design allows the heat exchangers easily to adapt to changing process demand. The number of plates can be increased or reduced rapidly. BaseLine® heat exchangers are cost-effective, safe, reliable and readily available. 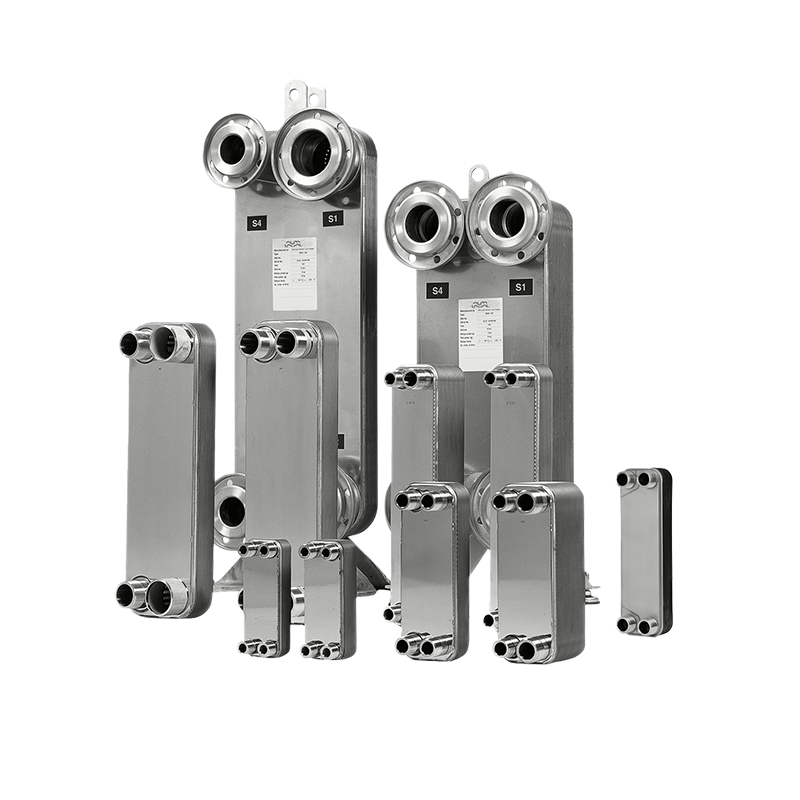 Alfa Laval FrontLine® Gasketed Premium Grade Sanitary Heat Exchangers. FrontLine WideStream® heat exchangers are designed for fluids with stringy fibrous content, such as pulp juice. Frames up to 290 psi. FrontLine Gemini® heat exchangers are designed with double wall protection for duties that require no cross-contamination. Alfa-Laval® clip-on ‘glueless’ gasketed plate. Alfa Laval® spare parts: Haleson will rapidly provide Alfa Laval® heat exchanger spare parts, exchanger repair kits. We will make sure you receive on time delivery of Alfa Laval® exchanger spare gaskets and replacement plates. Alfa Laval AlfaVap® cassette evaporator is designed for high-viscosity products. The CIPable AlfaVap cassette evaporator concentrates process liquids that contain particulates or dissolved and finely dispersed proteins of animal / fish origin. Nearly all evaporation takes place within the cassette. It can be supplied as a 1, 2 or 3 stage unit. Available in capacities from 2,000. to 35,000 lb/hr. It is suitable for process liquids such as juice concentration, stick water from fish meal, glue water from meat byproducts, fish / meat extracts and bouillon products, canning cooking water, fish / meat based hydrolysate products, fish silage products and gelatin products. 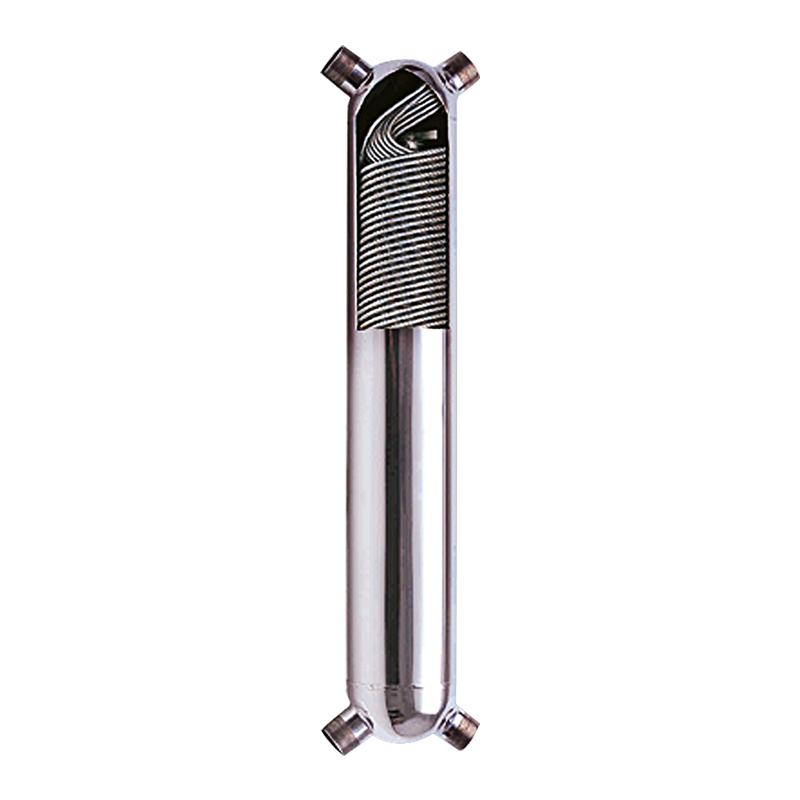 Alfa Laval Pharma-line® shell and tube heat exchangers are designed for the strict hygienic demands of the pharmaceutical industry. U-Tube design: Seamless tube with superior surface finish. Leakage detection: Double tube sheets protect against service media leaking into product. Brazed plate heat exchangers are low initial cost. They are compact and light weight. These exchangers are stock items and can be delivered immediately. 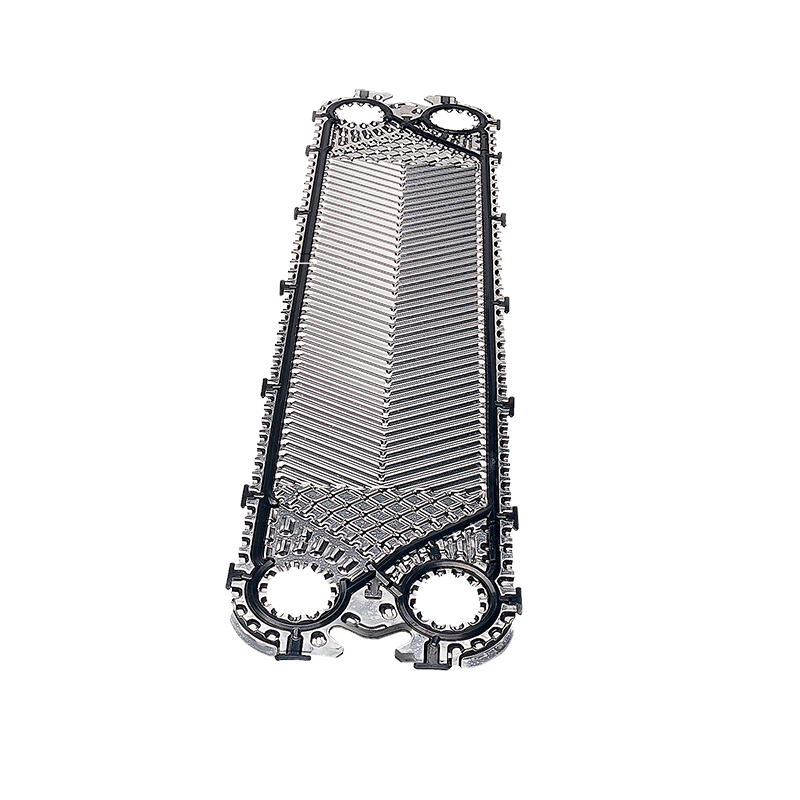 AlfaNova® is the first plate heat exchanger in the world to be made 100% of stainless steel; made possible by the patented active diffusion bonding technology of Alfa Laval®. 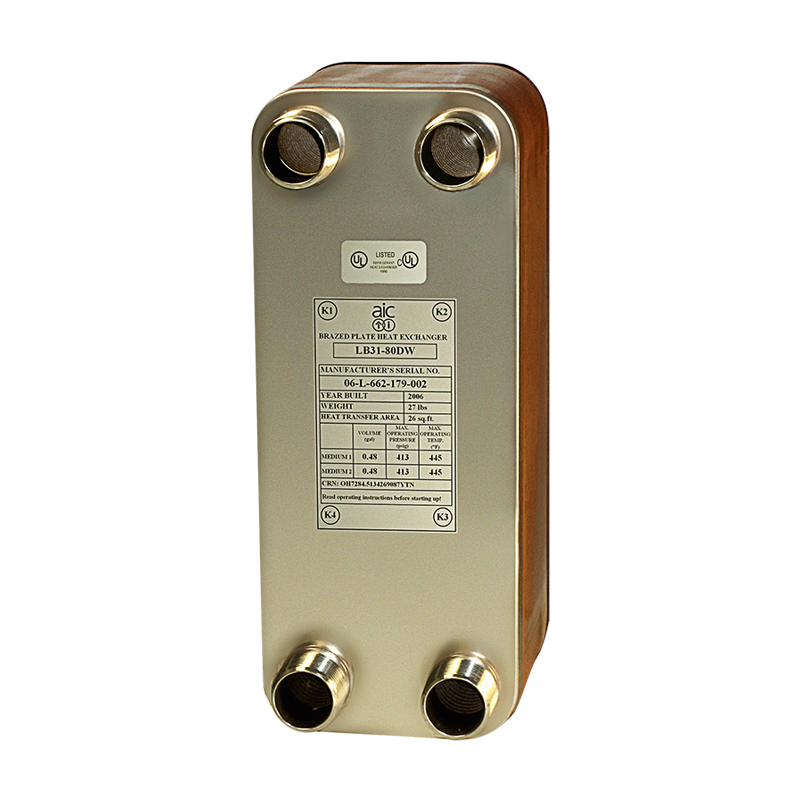 This provides levels of hygiene and corrosion resistance unmatched by any other brazed heat exchanger. 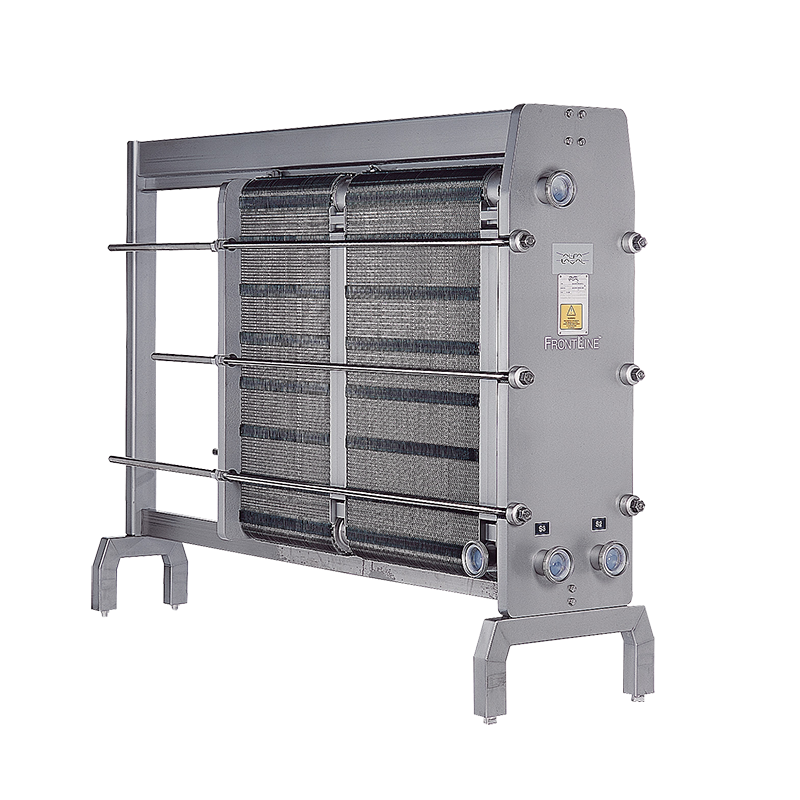 The exchanger can withstand temperatures up to 1020. F (550. C). 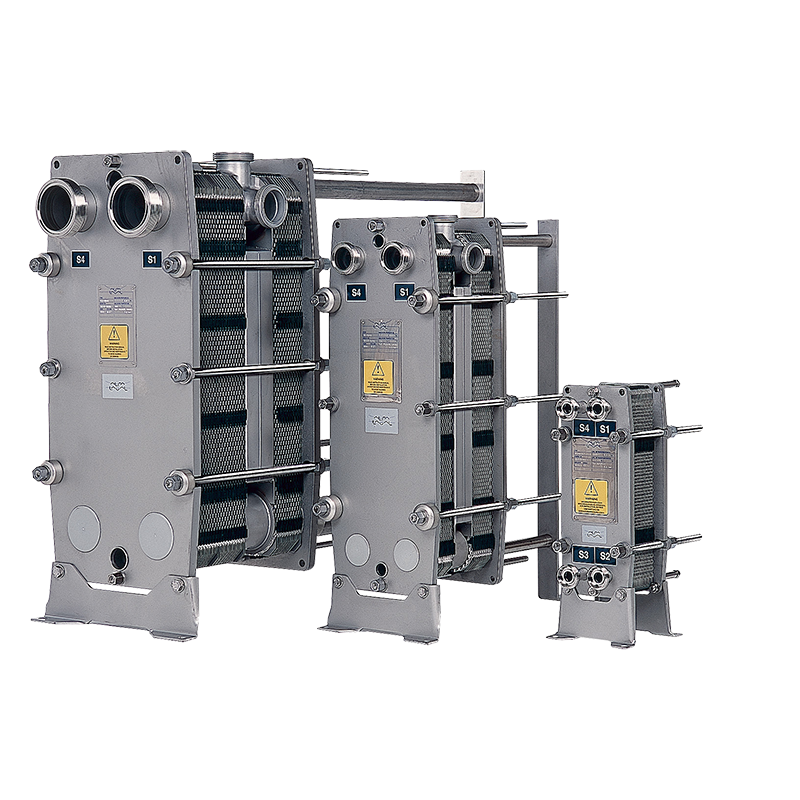 AIC® superior quality heat exchangers are designed, manufactured, inspected to the requirements of ISO9001. ASME and Canadian CRN, CSA, UL requirements can be met per customer demand. AIC JAD® Series Heat Exchagers. High Efficiency: Helically corrugated tubes packed closely together provide a large heat transfer area and high thermal efficiency. Compact size: Compact and lightweight design. Low maintenance: 100% Stainless steel construction. Titanium construction is available. Design parameters: Up to 300 psi and 422. F.
Wide range of sizes are available stock basis. JAD® model Heat Exchager Internal View. AIC® Brazed Plate Heat Exchagers. L-Line brazed plate heat exchangers are low initial cost. Plates & Connections: AISI 316. Single wall plates (optional double wall). Brazing: Copper brazed (optional Nickel brazed). 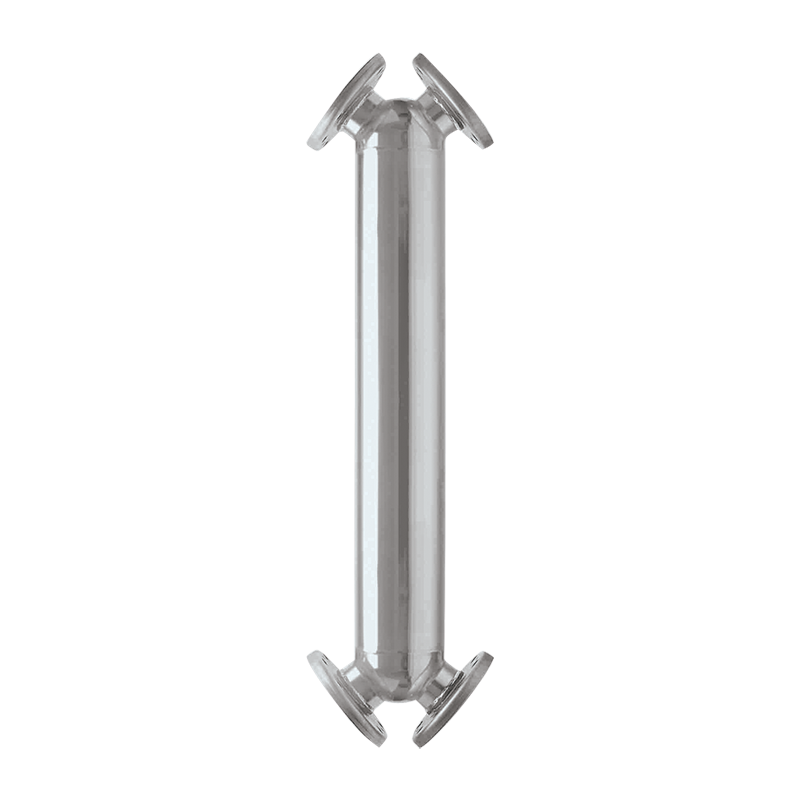 Design parameters: Up to 481psi and 445. F.
Wide range of sizes are stock and can be delivered immediately.